If you would like to join us for our farm work as a volunteer, you are welcome any time all year round. Even when you come over for fruit picking as our customer, you can join & help us. Please have a contact us in advance. Please click here to see our original volunteer works page. sandals, toileteirs including shampoo, soap, tooth brush , tooth paste, hair dryer, rain boots. Please reserve your seats for Chuo highway bus for Mt. Minobusan to get off at Shirane IC west bus stop at 9:56a.m. Your bus leaves from Shinjuku at 7:40 a.m. When you arrive in Tokyo, please have a contact with me. When you get off the bus at Shirane IC west bus stop, right behind you, right next to you, you will see very modern building with blue color roof. It looks like a Church. Yet, it is our information center for tourists in this city. You can go in there and ask a lady to make a call to me. The office opens until usually 5:30 p.m. If you ask her, she will make a call for you to my mobile phone for free. So far, possibly more than 10,000 foreigners visited our farm as guests and volunteers in the past 20 years. Yet, unfortunately I see really lots of foreigners causing troubles, and in most cases they cause troubles or frictions with local Japanese because of their lack of sense that Japanese usually have in common. Farming experience with funny owner! 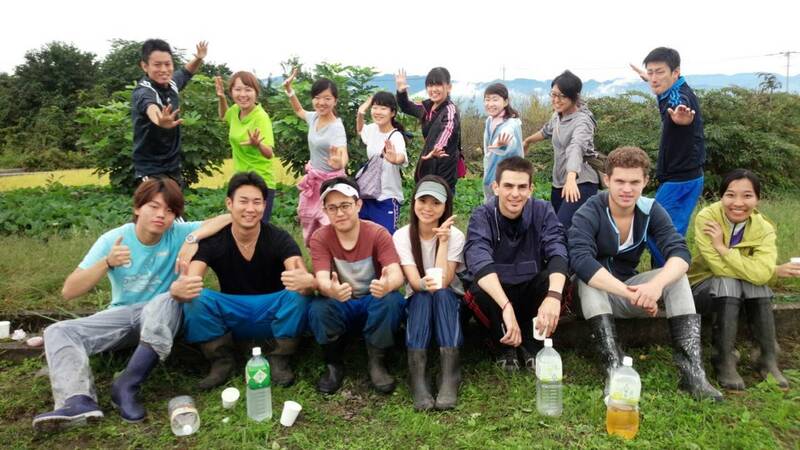 Uploaded 'Farming experience at Nakagomi orchard'. Movie is funny to watch, please feel free to subscribe! Please click here to watch movie: Manual Pollination Pt. 3: Dusting!